The Seat Arona stands for the new vision of Seat on making cars. It is the second SUV in line and is especially adaptable to the user. Since this is a car from the line of the Volkswagen Group, there are many replacement parts on the market, despite the fact that this is a model that was only put into production in 2017. The windscreen replacement of a Seat Arona can be done at competitive rates by using the after market car windows. 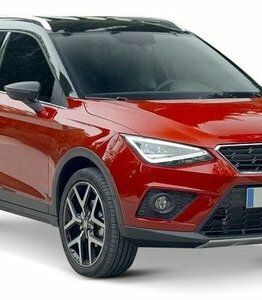 How does this work exactly, and why is the Seat Arona an interesting model from the Spanish car manufacturer? Seat has long struggled with the dusty image. The cars from Spain were called weak extracts from Fiat, until Seat started setting up the Seat Leon and the Seat Ibiza. These became sales successes, but the Spaniards were still lagging behind in the international market. The accounts showed red figures and the market share remained behind everywhere. The company had to use the SUV and this soon went to the drawing board. Nevertheless Seat needed a lot of time to finally come up with the first SUV. A lot of time even, because it would take until 2016, the year in which the Seat Ateca surprised the market. To offer an SUV for all users, Seat continued and invested millions more to work on the two models that would complement the Ateca: the Seat Arona and the Seat Tarraco. The Arona came on the market in 2017 and was astonished by the possibilities, such as the 68 different colours in which the car could be delivered. But (again) it was not a sales success. Not because the Seat itself wasn't good enough, but because there were too many competitors with strong models that didn't have to shake off a dusty image. Yet the Arona was the model that made sure that the figures in the accounts were printed black again and no longer red. Which models compete with the Seat Arona? The Seat Arona is a strong medium size SUV (also called compact SUV). The SUV is available with various petrol and diesel engines and has a boot capacity of at least 400 litres - not bad for a compact SUV. The parking aids and adaptive cruise control are also strengths of this model. In terms of price the Arona can easily compete with the competition, but in terms of sales figures Seat unfortunately falls back to the lower regions. Below are the monthly sales of the competitors and the Seat Arona itself. The Seat Arona is just like more models of the Volkswagen Group built on a shared platform. Not the standard MQB platform on which for example the Seat Ateca and Volkswagen Tiguan are built (this platform is simply too big for the model of the Arona). The Seat Arona shares the platform with the Seat Ibiza. The MQB-A0 platform was specially developed by Volkswagen for the smaller cars. However, the Arona has a feat to its name. The Arona is the first real SUV made in Spain. The Ateca, the model that went into production a year earlier, is not built in Spain itself. The production of these cars takes place in the Czech Republic, in the factories of Skoda.
. The big disadvantage of the Arona, however, is that most interesting features are optional, such as a multimedia system, full LED lights or a leather-covered steering wheel. This means that a fully equipped Arona is considerably more expensive than the standard catalogue price, but at the same time it offers a large number of possibilities when you want to put together your own Arona. Can I do the windscreen replacement of a Seat Arona myself? Replacing a Seat Arona windscreen yourself is not a sensible choice. The windscreen of this relatively new model is equipped with different sensors and can be equipped with a camera. After the windscreen replacement of the Seat Arona, the camera needs to be recalibrated sometimes to ensure that it works optimally and properly again. Since you probably do not have the right equipment yourself, it is not possible to replace a new windscreen with a camera in your Seat Arona. In addition, replacing the windscreen yourself is not a good option because it is accurate work and safety depends on the correct mounting. Can a second-hand car window be a solution for my Seat? A second-hand car window is in most cases not a sensible option as it can be damaged. There must be a reason why this car window was removed from the previous Arona. In addition, installing a second-hand car window is something that experts do not like to do because replacing a new car window is easier and better. The fact that you cannot install a new windscreen in the Arona yourself and cannot use second-hand automotive glass does not mean that there are no ways to reduce costs. If you choose after market automotive glass, you pay much less than when you order a new windscreen with brand logo. Yet there is no difference in terms of quality. The car windows meet exactly the same requirements and are in most cases even made in the same place. When a brand logo is added, the car window immediately becomes more expensive. If you buy an after market windscreen for your Seat Arona, you choose the best price/quality ratio. With us you decide yourself whether you want to order the windscreen with or without installation. You will see all options during the ordering process. If you choose a windscreen for a Seat Arona with installation, our certified partners will visit your specified address within three working days to install the new windscreen and, if necessary, recalibrate the camera so that you can make optimal use of your Arona again. Of course, you will receive a guarantee when our partners do the windscreen replacement and you can get back on the road safely in no time.